You are met and transferred to the hotel. There will be plenty of time to relax before meeting your fellow travelers and Tour Director. This 700-year-old capital is the symbol of the Polish nationhood and the will to survive against great odds. A sightseeing tour here includes a drive along the famous Royal Route from magnificent Castle Square to Lazienki Park and Palace, the summer residence of the last King of Poland. Pass by the Palace of Science and Culture (known as the “wedding cake”), the Saxon Gardens, Tomb of the Unknown Soldier, Monument to the Heroes of the Warsaw Ghetto, and the Barbican. Continue with a walking tour of the Old Town, Old Market Square, and St. John’s Cathedral. The rest of the day is free for relaxing, shopping, going for a stroll through the city or an optional late afternoon Chopin concert. Stop in Poznan for an orientation tour of this trade center. Then on to Berlin, for dinner and a free evening. 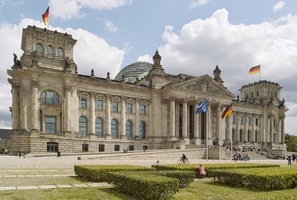 Your morning sightseeing tour features the Reichstag, the Renaissance building that once housed Germany’s Parliament, and the lovely Schloss Charlottenburg. The tour continues through the city to view other famous sights such as the Opera, Schiller Theater and Kaiser Wilhelm Memorial Church. The afternoon is free to explore this once divided city on your own. 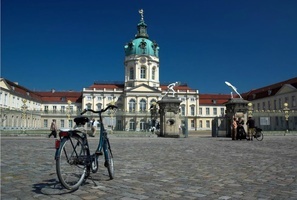 Continue your journey via Dresden, the beautiful Saxony Baroque city. On an orientation tour, view the Zwinger Palace and Semper Opera House. 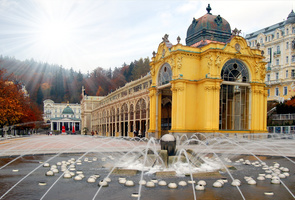 Then it’s on to the Czech capital of Prague, the “City of 100 Spires”. Built on seven hills more than 1000 years ago and spread over both banks of the river Vltava, Prague is one of the most attractive cities in Europe. 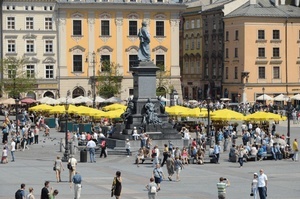 Your sightseeing tour starts with panoramic drive to famous Wenceslas Square, the Strahov Stadium and Castle Square. Continue with a walking tour, and visit the Royal Castle of Hradcany with Cathedral of St. Vitus, Old Royal Palace, St. George’s Basilica and Golden Lane with Daliborka Tower. Cross the Charles Bridge and walk through the old quarter of Prague to view the Jewish Ghetto, Town Hall and the world-famous Astronomical Clock. The rest of the day is free. An optional cultural performance will be available. Ask your Tour Director for details. After breakfast, transfer to Prague’s airport for your departure flight.